You are here: Home > FAQ > Cancer: Do cannabinoids cure cancer? Cancer: Do cannabinoids cure cancer? Cannabinoids, the active components of cannabis and their derivatives, exert palliative effects in cancer patients by preventing nausea, vomiting and pain and by stimulating appetite. In addition, these compounds inhibit the growth of tumour cells in laboratory animals -mice and rats. However, at the moment there is not solid evidence to prove that cannabinoids –whether natural or synthetic- can effectively treat cancer in patients, although research is ongoing around the world. Comprehensive FAQ sections -including scientific references- on cannabinoids and cancer can be found at the Cancer Research UK website and the National Cancer Institute of the US website. Here that information is summarized and discussed. Cancer is a broad term used for diseases in which abnormal cells divide without control and are usually able to invade other tissues, causing metastases and high rates of mortality and morbidity. Cancer is not just one disease but many diseases: more than 100 different cancers are well-typified from a histopatological point of view by the WHO and, most likely, there are hundreds if not thousands types of cancers according to molecular and genetic profiling. - Carcinoma: cancer that begins in the skin or in tissues that line or cover internal organs. - Sarcoma: cancer that begins in bone, cartilage, fat, muscle, blood vessels, or other connective or supportive tissue. - Leukaemia: cancer that starts in blood-forming tissues such as the bone marrow and causes large numbers of abnormal blood cells to be produced and enter the blood. - Lymphoma and myeloma: cancers that begin in the cells of the immune system. - Central nervous system cancers: cancers that begin in the tissues of the brain and spinal cord. Conclusion: Cancer is a very serious and heterogeneous disease, so fighting it therapeutically remains an extremely difficult challenge. Cannabinoids might therefore exert beneficial effects in some cancers but not in others. - Triggering cell death, through a mechanism called apoptosis. - Stopping cells from dividing. - Preventing new blood vessels from growing into tumours –a process termed angiogenesis. - Reducing the chances of cancer cells to metastasize through the body, by stopping cells from moving or invading neighbouring tissue. - Speeding up the cell’s internal ‘waste disposal machine’ –a process known as autophagy – which can lead to cell death. Conclusion: Cannabinoids are efficacious drugs to treat at least some types of cancers in laboratory animals –mice and rats. - We do not know whether the (supposed) effect of cannabis was due to a placebo effect. - We do not know whether the tumour has (supposedly) stopped growing by natural/endogenous reasons -some tumours regress spontaneously/owing to the body’s anti-tumour defences. - We do not know how many patients have taken cannabis and have not obtained any therapeutic benefit, that is, what is the (supposed) efficacy of the cannabis-based therapy. - As most likely patients have gone through standard therapy prior to or concomitantly with cannabis use, we do not know whether the (supposed) effect of cannabis was in fact due -at least in part- to the standard therapy -perhaps enhanced by cannabis, but we have no proof. - We do not know what are the parameters of tumour progression that have been monitored and for how long the patient has been monitored -many potentially beneficial effects of antineoplastic drugs (or of cannabis in this case) are just short-term actions, but what about long-term progression-free survival and overall survival? - Cancer is a very heterogeneous disease, and so far none has put together a sufficient number of patients for a particular type of cancer to support that cannabinoids are efficacious drugs in that precise cancer. 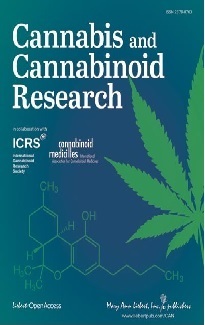 Conclusion: Although it is possible –and of course desirable- that cannabis preparations have exerted some antineoplastic activity in some particular cancer patients, the current anecdotal evidence reported on this issue is pretty poor, and, unfortunately, remains far from supporting that cannabinoids are efficacious anticancer drugs for large patient populations. Results have been published from only one Phase I clinical trial testing whether cannabinoids can treat cancer in patients. Nine people with advanced, recurrent glioblastoma multiforme –an aggressive brain tumour– that had previously failed standard therapy were given highly purified THC through a catheter directly into their brain. Under these conditions cannabinoid delivery was safe and could be achieved without significant unwanted effects. 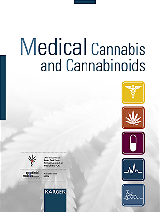 In addition, although no statistically-significant conclusions can be extracted from such a small cohort of patients and without a control group, the results obtained suggested that some patients responded -at least partially- to THC treatment in terms of decreased tumour growth rate, as evaluated by imaging and biomarker analyses. These findings were encouraging and substantially reinforced the interest on the potential use of cannabinoids in cancer therapies. However, they also highlighted the need for further research aimed at optimizing the use of cannabinoids in terms of patient selection, combination with other anticancer agents and use of other routes of administration. Conclusion: There are still many unanswered questions around the potential for using cannabinoids as anticancer drugs, and it is necessary and desirable that exhaustive clinical studies are conducted to determine how cannabinoids can be used, other than for their palliative effects, to treat cancer patients. Dr Manuel Guzman is professor at the Department of Biochemistry and Molecular Biology at Complutense University in Madrid, Spain. He coordinates the Cannabinoid Signaling Group.